Two big Christian music events are on the Grand Canyon University Arena schedule next week, which has been dubbed One Grand Week. On Wednesday, Rend Collective will return to GCU for a stop on its “The Art of Celebration Tour.” On Saturday, Oct. 11, “Bubba’s Bash” will take over the Arena with performances by top Christian artists Lecrae, Andy Mineo, Britt Nicole, Thi’sl and Fedel. Pro golfer Bubba Watson, the two-time Masters champion, is staging the event through his Bubba Watson Foundation, which he and his wife, Angie, formed in January to benefit children, young adults and members of the U.S. military. Both events start at 7 p.m. Tickets are available at the Arena box office or online here. Rend Collective is a Christian worship band from Northern Ireland that previously performed on the Kari Jobe tour. Among the groups Rend Collective has toured with is MercyMe, whose lead singer, Bart Millard, is the director of GCU’s new Center for Worship Arts. Touring with Rend Collective this time are Urban Rescue and Moriah Peters, a singer/songwriter who’s also a GCU student. Lecrae, who won the Grammy Award for Best Gospel Album in 2013, recently performed on “The Tonight Show Starring Jimmy Fallon” with Fallon’s house band, Roots. Lecrae’s new album, “Anomaly,” is his sixth No. 1 album on the Gospel charts but his first to also reach the top spot in the Billboard Top 200. His music is a mix of hip-hop, rap and rhythm and blues. 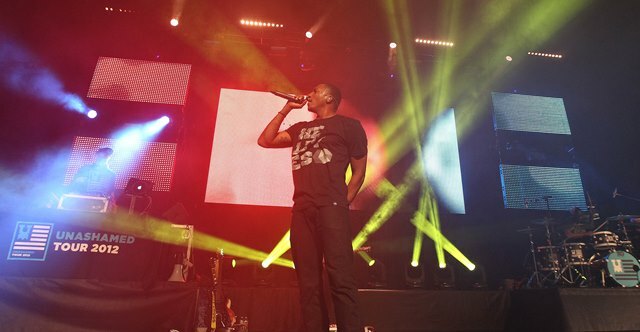 This will be Lecrae’s third time at GCU, which is a sponsor of his tour. He is scheduled to co-host, with Millard, the Gospel Music Association’s 45th annual Dove Awards on Tuesday in Nashville. “Bubba’s Bash” also is part of a tour. It has events scheduled for Oct. 9 in Windermere, Fla., and Oct. 10 in Opelousas, La.